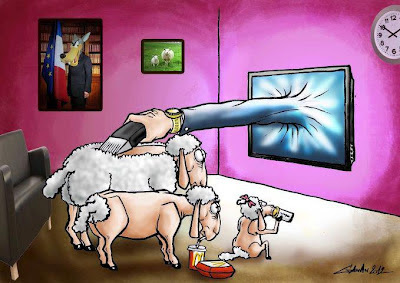 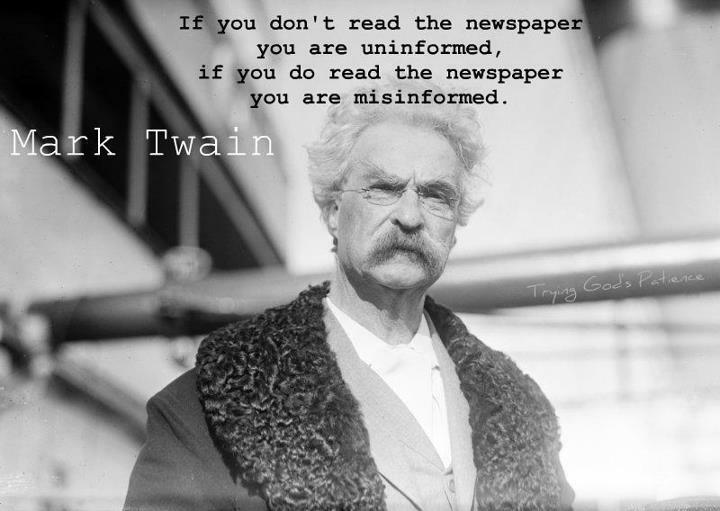 Just a small post to give you a hint on how media consumes, digests and passes the crap to the audience in just 2 words. 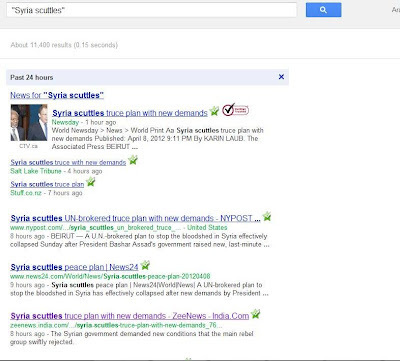 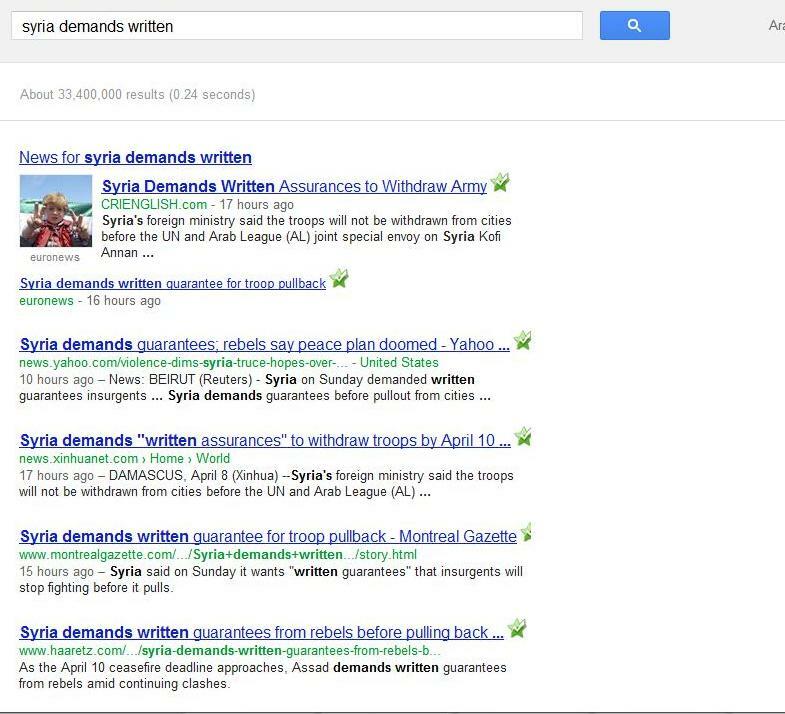 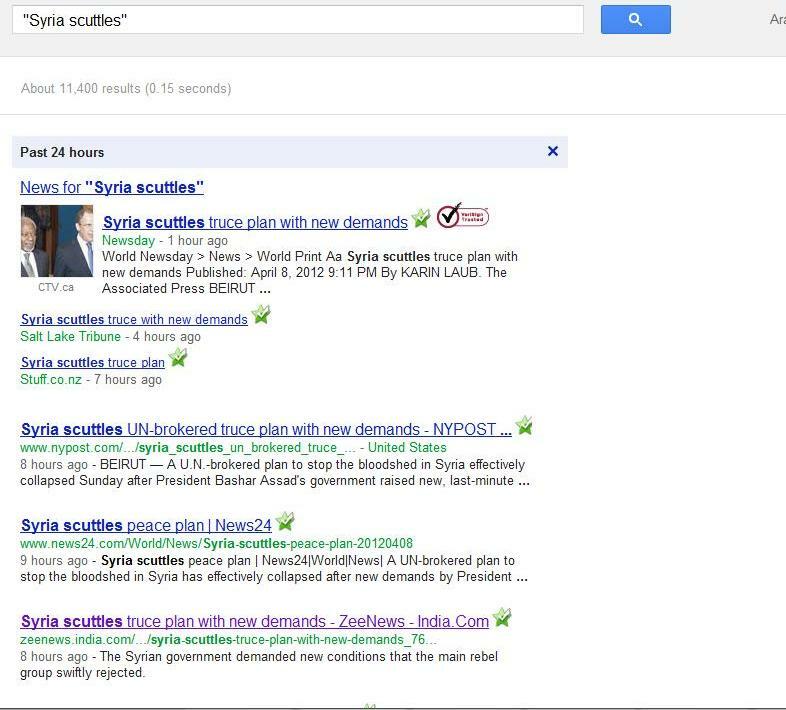 11,400 results in the past 24 hours for "Syria Scuttles"
You shouldn't know that the rebels rejected, and in case someone had to highlight this news they'll not give it to you as it is, they have to play with the title to give you an impression that 'rebels' had to 'reject' to keep undermining the Syrian state's legitimacy. 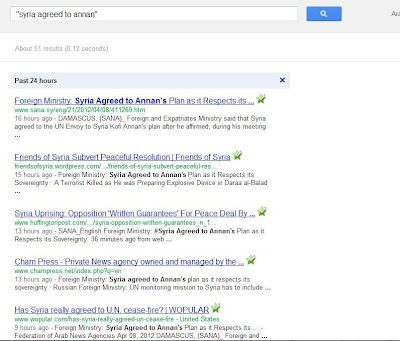 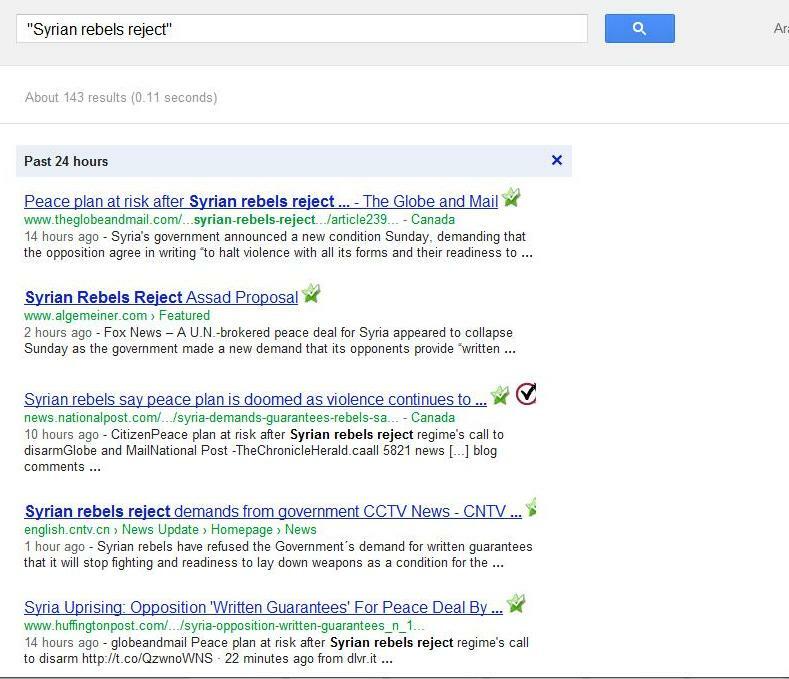 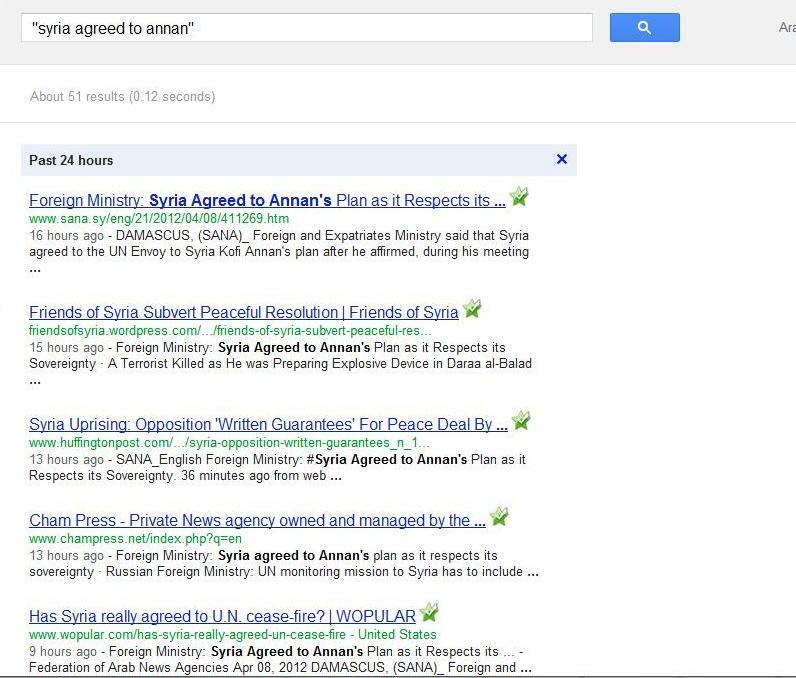 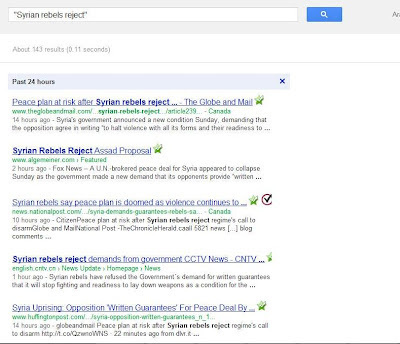 51 results in the past 24 hours for Syria Agreed (check the last one though: "Has Syria agreed..?"!! "They fool you, they keep fooling you and they enjoy fooling you, not because they're smart, but because you're 'Foolable'"